Chuck Spurr is Shield Health Care Group’s Chief Information Officer. His extensive understanding of infrastructure and applications as well his extensive background in implementing complex technology solutions helps him advance Shields business through the use of technology. 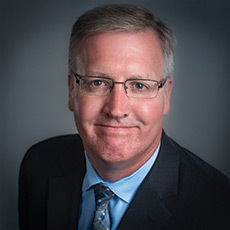 Chuck oversees Shields’ IT department and has created great synergies with various technology partners to enhance the company’s services to patients and referring customers. Prior to joining Shields Health Care Group in 2007, he was with Bayer Healthcare and Ciba-Corning Diagnostics where he was delivered many large-scale projects involving mission critical applications, systems and networks, worldwide. Spurr is a Six Sigma Green Belt and assisted in implementing Shields Six Sigma quality program. Chuck holds a bachelor of science from the University of Massachusetts and enjoys sports, traveling and spending time with his family.